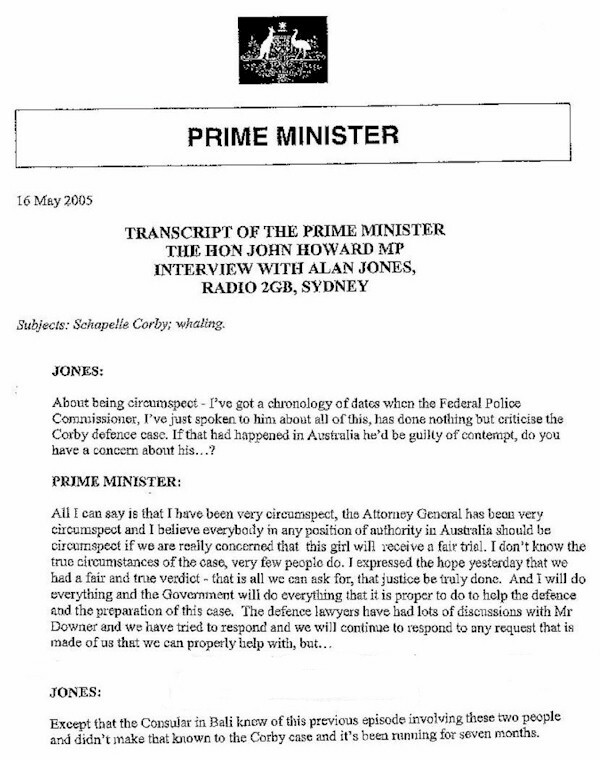 The document produced below is the Australian government's transcript of an interview of 16th May 2005, in which Prime Minister John Howard openly evades a direct question put to him by broadcaster Alan Jones. Alan Jones subsequently refers to the case of 'Steve & Dee', who had also found marijuana in their luggage on arrival in Bali. This information had been withheld from Schapelle Corby and her lawyers, by the government.